Do you have a passion for the English language? Do you enjoy working with middle school-aged students? The GACE Middle Grades Language Arts Assessment can open up a whole new career for you! The GACE Middle Grades Language Arts Assessment is a test designed for individuals desiring to become middle school language arts teachers in the state of Georgia. This test is computer-based in format and assesses the skills necessary for teaching languages arts to students in grades 4-8. 2.5 hours are given to complete the middle grades language arts assessment, with 30 minutes devoted to computer tutorials. This test assesses not only basic language arts knowledge and skills, but also the ability to apply this knowledge in a middle school classroom. This assessment is made up of 90 selected-response questions, such as matching, multiple choice and/or true-false questions, and 2 constructed-response questions, such as fill-in-the-blank, short answer and essay. Most tests also include other some extra selected-response questions, which are not included in the actual test scoring, but are used to determine test-taker performance. 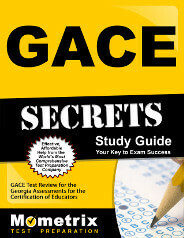 The GACE Middle Grades Language Arts Assessment is divided into 4 subparts: Reading, which is worth 37% of the total score, Writing, Speaking and Listening, which is worth 23% of the total score, Language Use and Vocabulary, which is worth 15% of the total score and Analysis (constructed-response only), which is 25% of the total test score. Testing windows are offered during the months of August, November, February, April, May and June. Test results are available approximately 2 weeks after specific test dates. Are you unsure on how to prepare for the GACE Middle Grades Language Arts Assessment? 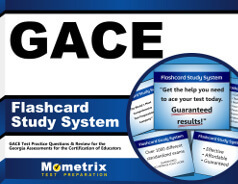 Several study aids are available to help you prepare for this assessment in different formats. Some of these include tests at a glance (which give a quick overview of the assessment), interactive practice tests, tutorials, videos and even webinars! These and other test-taking strategies and tips are available to help you achieve a passing score on this assessment. Are you ready to make a difference in the lives of middle school students? Register today for the GACE Middle School Language Arts Assessment and pass on your love and passion to the next generation!